Key West has some of the most beautiful waters on earth. People travel from ALL over the world to experience the crystal clear waters of America’s most southern point. 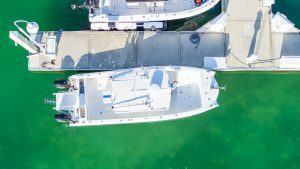 There is nothing like cruising the Gulf of Mexico looking for a sandbar hangout, or sliding across the Atlantic Ocean on your way to an adventurous diving or fishing excursion. 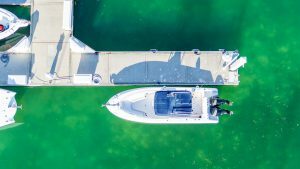 Being that it is almost essential to have a boat in Key West, we offer convenient Boat Slip Rentals. Not only can you rent a Home for yourself to stay, but you can also rent a Slip for your boat to stay. 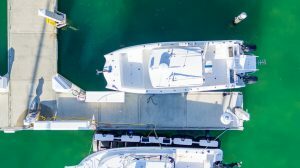 Marlin 7 – 40 ft. Boat Slip. Maximum boat size: 45 ft. long, 12 ft. wide. 6 ft. draft depth. Marlin 8 – 30 ft. Boat Slip. Maximum boat size: 35 ft. long, 14 ft. wide. 6 ft. draft depth. Grouper 9 – 40 ft. Boat Slip. Maximum boat size: 45 ft. long, 15 ft. wide. 6 ft. draft depth. Located at the end of the dock. Grouper 10 – 40 ft. Boat Slip. Maximum boat size: 45 ft. long, 15 ft. wide. 6 ft. draft depth. Located at the end of the dock. All Slips include a storage dock box, fish cleaning station, a 30 amp power source, water supply and full Guest Services of Last Key Realty. Also located at the Sunset Marina is the Marina Store and ride-up Gas Station. 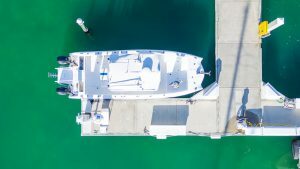 Rest assured in knowing that your Boat is in a safe and secure location during your time in Key West. Sunset Marina regulations require these slip rentals not be used for liveaboards, but we’d be happy to accommodate your stay at one of our luxury Vacation Rentals. Also, trailer storage can be accommodated at an additional cost. Please inquire for details. While in Key West, getting out on the water is a must. Enjoy the peaceful aquatic scenery, catch yourself some dinner, or take the family snorkeling. 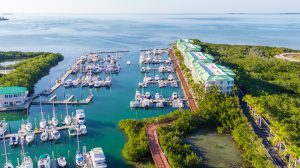 There is so much to experience in the surrounding waters of Key West. Let your Boat experience Paradise too! 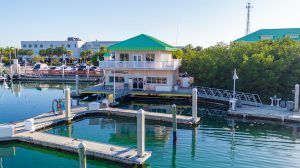 If you are going to bring your boat with you to Key West or rent one while you’re here, consider a convenient Last Key Realty Boat Slip Rental. For more information, call our Office at (305) 292-6266.